Jester Spins is a casino online game which was developed by Red Tiger Gaming. Offering a pretty traditional three reel, five payline format, the game has a glossy, contemporary look, despite its use of the kind of traditional symbols which have been a feature of fruit machines for years. The game has a Return to Player rate of 96.02 percent, so it offers plenty of opportunity for profit as well as fun. 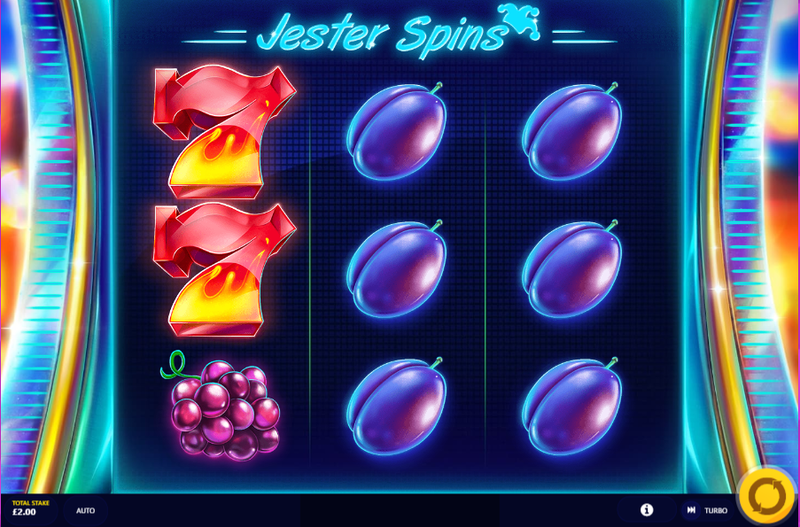 If you are fan of playing on a traditional fruit machine, then you will enjoy the look and feel of Jester Spins. 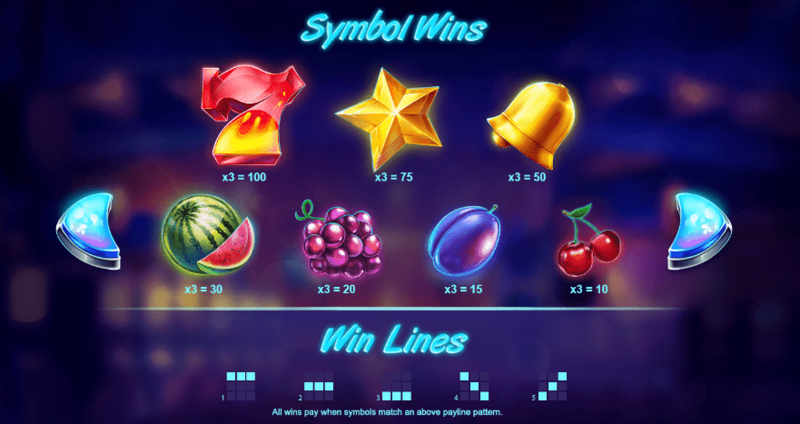 The game deploys very traditional slot machine graphics, with bells, fruit and bars very much the order of the day here. The game’s scatter symbol is the jester’s hat. Sadly, there is no wild symbol in this game, which is perhaps due to the traditional way that it has been set up. This game offers a pretty no-frills type of experience, overall. If three jester’s hats land anywhere on the reels, then the Free Spins bonus feature is triggered. This provides you with 10 free spins to use. The objective during this part of the game is to spin in as many jester’s hats as possible. If you spin in two or three then instant wins are awarded to you. The game also features a progressive jackpot, which is triggered when you spin in three Jackpot symbols. This will award you either the mega or mini prize, which is shown to the left of the reels. You can also win big from the game’s daily jackpot, which is time-limited and must pay out before the deadline shown on screen. Find Jester Spins here at slotsbaby.com. Red Tiger Gaming is a British games developer which is headquartered on the Isle of Man. The company’s history is quite short, as it was only founded in 2014, by a group of European and Asian games developers. Red Tiger’s games are developed using the HTML5 framework, which means that they can be played on devices of any size. It also means that HD graphics can be used in the games, and also improves the quality of the sound effects on offer. Innovative features like ceiling jackpots and daily jackpots are an integral part of Red Tiger games. If you enjoy playing slots online then you have probably seen their red tiger logo in your favourite online casino. Jester Spins does not have much in the way of bonus features to distinguish it from its rivals, which is somewhat disappointing. What it does offer, though, is smooth gameplay and high-quality graphics and sound. If you grew up in a more traditional era, you will also appreciate the way that the game uses symbols and shapes from fruit machine history. This is a title for gamers who like things to be simple and uncomplicated. Head to SlotsBaby.com.